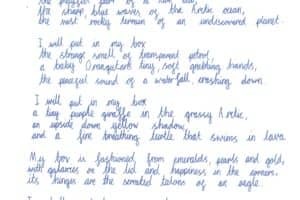 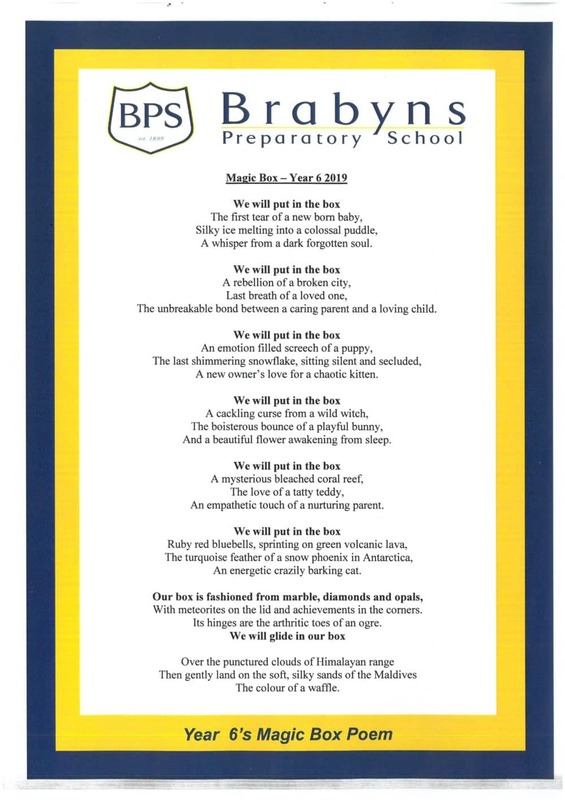 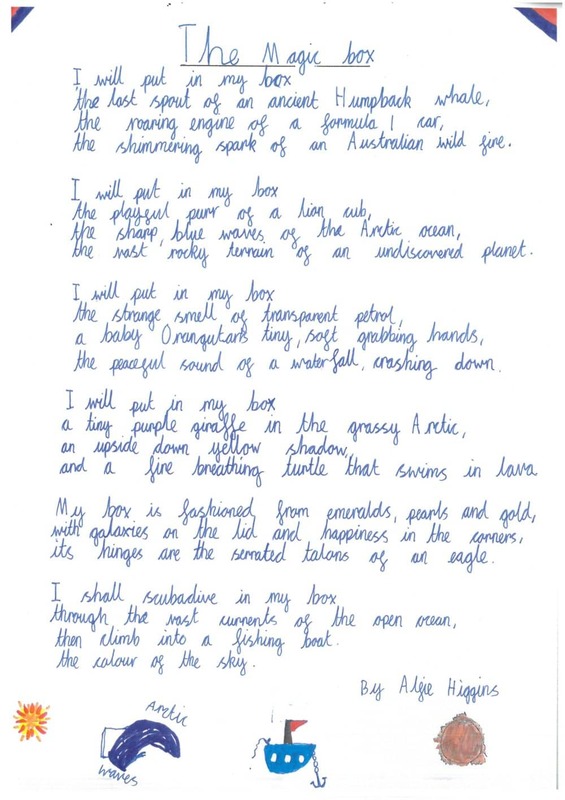 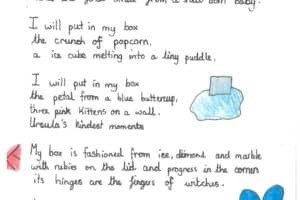 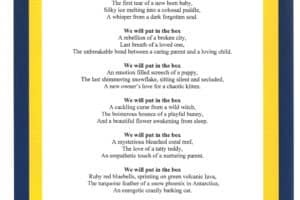 Year 6 read Kit Wright's Magic Box poem and investigated his use of form, structure, adverbs, adjectives, simile, personification and alliteration. 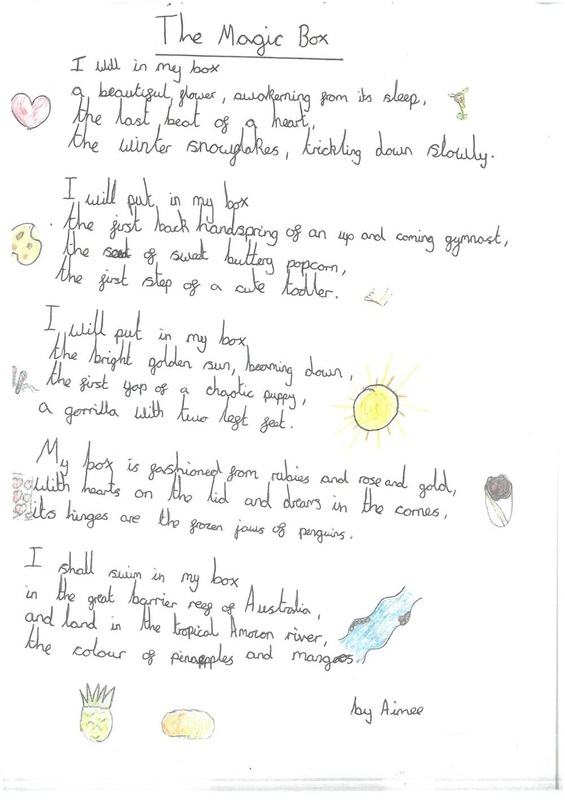 They then created a collaborative version of the poem. 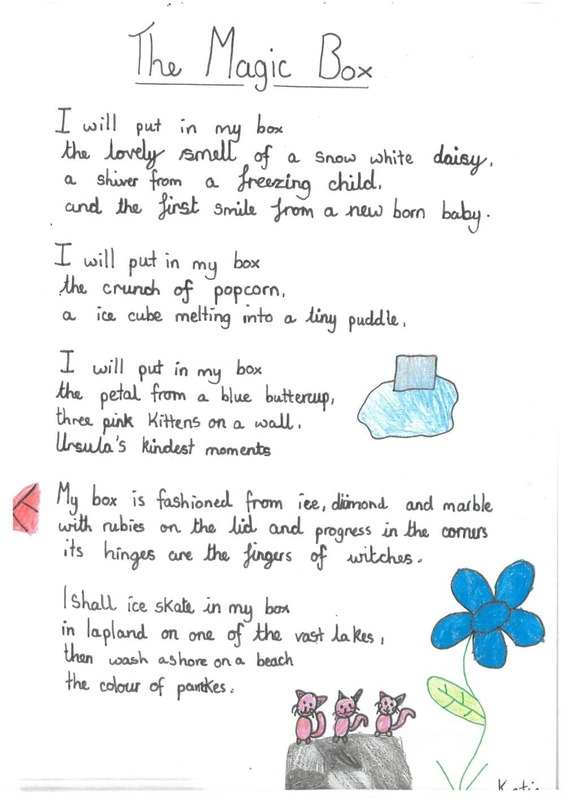 Finally, using planning sheets, they recorded their own ideas, formed them into a poem following the same format as the original and created a final draft for presentation. 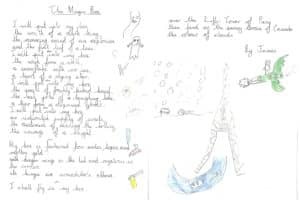 At all times, they shared ideas and examples of their work with their peers. 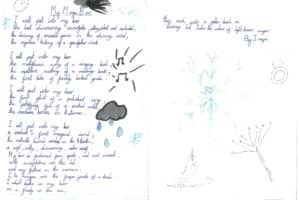 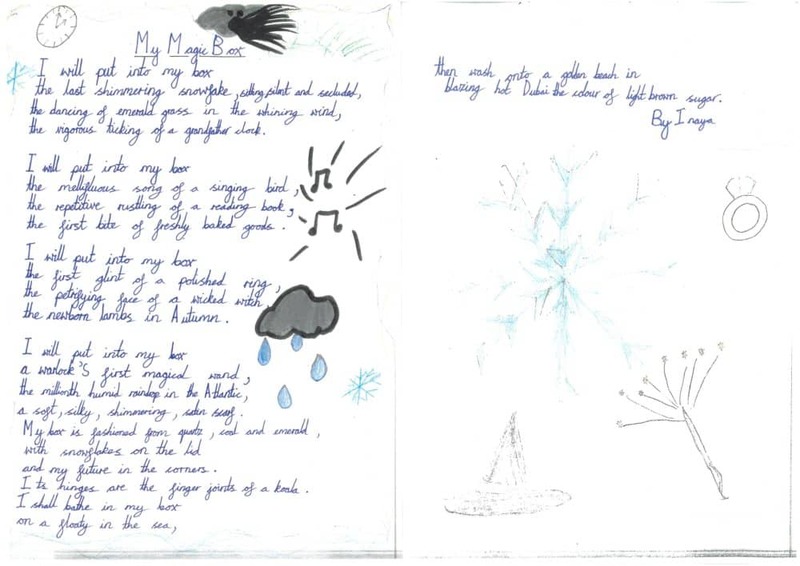 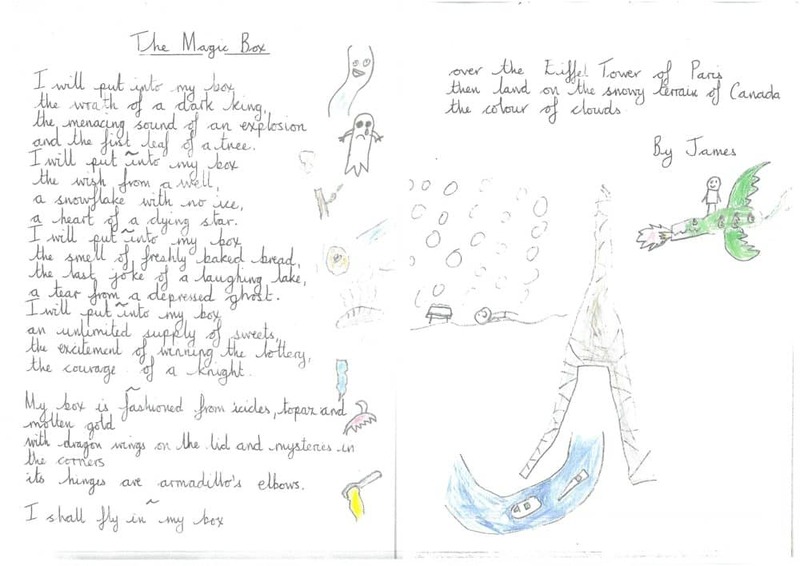 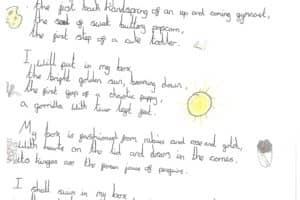 The finished poems show sensitivity, personal experiences, exciting ideas and most of all - a skilful use of vocabulary.